Zoya's Summer 2013 Collection ($8 each; Press Sample) is a two part collection featuring Stunning - six bright cremes and Irresistible - metallic, shimmery foils. Featured in this post are swatches of the Stunning Collection, I'll swatch Irresistible in another post. Formula wise, these cremes were smooth & easy to work with and most of them were quite opaque with just one coat. The colors are bright, beautiful & perfect for summer. *some pics have been tweaked to show the actual color of the polish, hence skintones may vary. Micky - Hot pink, but not quite neon. Love it on my toes more than my fingers though. Yana - Bright Pink with red undertones. I can see how well this would work with most skin tones. Rocky - Blue Creme - not too bright, but not very dull either. Its a nice summery blue. Would look better on lighter skin tones. Darcy - My favorite from the Stunning Collection. A bright, happy yellow! Josie - Grassy Green, very opaque and glossy! It is much brighter and more of a vivid green than some other Zoya greens. See comparisons with Bevin and Wednesday below. * I've typed Micky instead of Rocky by mistake in the above nail swatch. Thandie - Citrus Orange with a gel like finish. 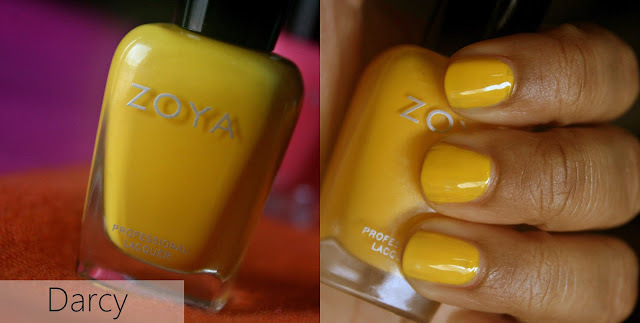 It is a much more wearable version of Arizona from Zoya's last summer collection. See comparisons below. Thandie is much more flattering on me than Arizona and leans more coral. 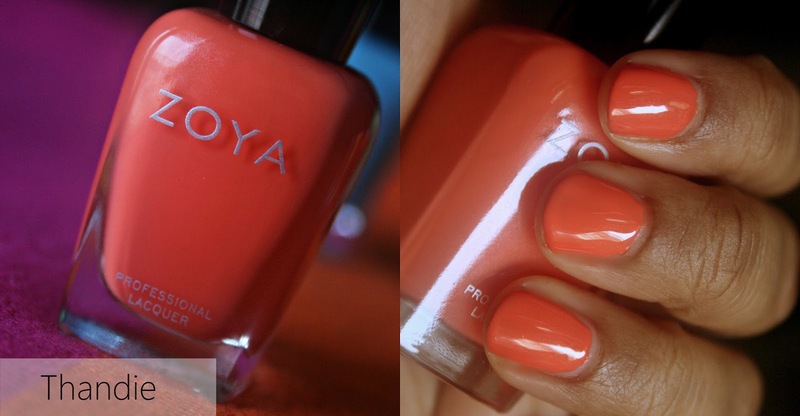 Overall, if you like creme finishes, you'll love this fabulous collection by Zoya! All these colors make for amazing summer pedicure shades too. My favorites from the Stunning Collection are Darcy, Thandie and Micky! 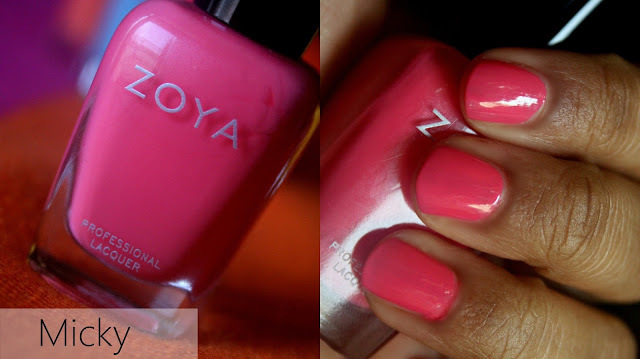 Available now online at zoya.com. 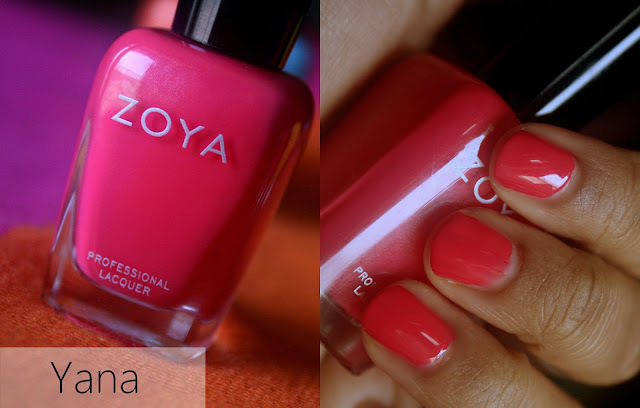 Zoya Nail Polishes are 5-free (Formaldehyde, Formaldehyde Resin, Toluene, DBP and Camphor). What are your thoughts on the Stunning Collection for Summer?